I am away this week with my nieces and we have been having such a fabulous time. Their parents are in Singapore for the week so we have come down south to beautiful Western Australia and we have been roaming and exploring, swimming, and playing games…amongst other things! My role as Auntie is one of my favourite roles and I take it very seriously. I get to spoil them and be crazy with them; but I also see myself as one of their teachers and guides in life. We have this ‘in joke’ around my favourite saying (it’s an ‘in joke’ because it turns out I have about 7,643 or so of them!) 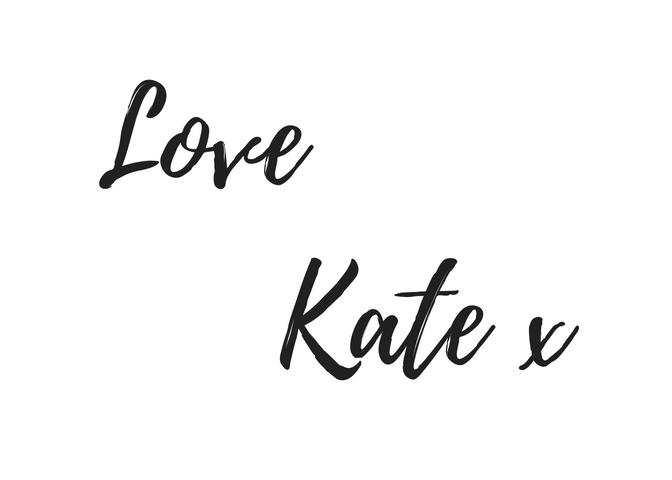 such that every time I start a sentence with: “One of my most favourite sayings is ….” my nieces automatically pipe up and remind me that I have over about 7,000 favourite sayings (and I’ll be honest…I really do!). There are so many amazing pearls of wisdom that I have picked up over my 42 years on this planet – how is a girl to choose just one?! Yesterday, when we were walking in the Serpentine National Park (a beautiful and spectacular place here in WA) the girls were recapping their adventures they had had the week before on their eight-day school camp. They spent time at Wooleen Station (about eight hours north of Perth) where they hiked, lived rough, and got to experience the real camping life. I immediately reminisced about my own Year 11 camping experience (‘Outward Bound’ it was called) whereby we did pretty much exactly the same thing. For me it was a phenomenal adventure, not just because we were out in the bush for ten days, but because I learnt so much about the girls I went to school with – especially the girls I hadn’t ever gotten to know well. Being on a camp like Outward Bound – where food is not as abundant or interesting as it is at home and life’s luxuries are absolutely nowhere to be seen – I found that people’s true colours really came out. The girls who I thought were not very strong ended up being the ones who lead the group when we were all falling apart. And then the girls who I thought were a bit “precious” dug the loo with the “dunny-digger” every day without any complaints whatsoever. On the flip side, there were girls who refused to participate in camp activities, refused to walk when they got too tired, and were generally a total pain-in-the-arse without any consideration of how their behaviour impacted the group. So yesterday, as we were talking about our school camp experiences, my nieces brought up a story of a student in their group who honestly believed that someone else should take care of the things she didn’t like during the camp. Clearly, she was used to someone (most likely her parents) solving all her challenges and smoothing things over for her so that she didn’t feel uncomfortable. Well! Naturally I started to analyse and mull over their story and replied: “Yes well this reminds me of one of my most favourite sayings…”. “You mean one of your 7,643 favourite sayings, Auntie KK!” chorused my nieces – true to their cheeky form! So often people stand there in the face of their challenge or crisis and expect someone to come along and take care of everything for them. They want to be rescued without actually doing anything to contribute to their rescue or solve the problem. I informed my nieces that when we learn to participate in our own rescue we get really good at solving not only our own challenges but the challenges we see around us: we end up training ourselves to be “solution-seekers” and these are the people who are making the biggest difference on the planet- I kid you not. These are the people who view the world from the standpoint of: “How can I solve this problem?”, as opposed to just “Why is this happening to me?”. This solution-based way of thinking is where creativity and innovation reside. The first time I heard the saying we need to participate in our own rescue it was uttered by Alexi Panos. Alexi is a beautifully badass and wise woman who positions herself as a modern day philosopher, writer, artist, and humanitarian. She runs a workshop series called The Bridge Experiencewith her husband Preston Smiles who is just as badass as her!! I was attending my second workshop with them when they shared this “rescue wisdom” with the group. They highlighted that some people will always wait to be rescued – thereby choosing to be quite disabled, for want of a better term. 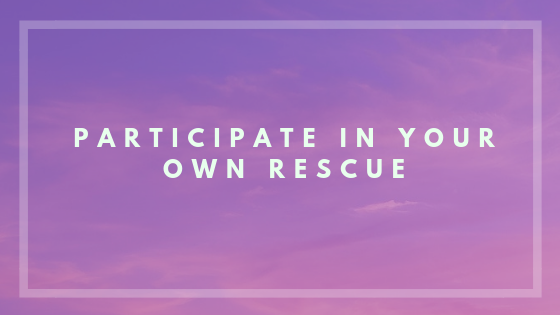 The kindest thing we can do when faced with people who have created this behavioural pattern is to let them participate in their own rescue – even if it is uncomfortable for us not to rescue them in that moment. Their “uncomfortableness” is their own rescue mission – something they need to work on themselves. “Stand back and empower the person who – in that moment – doesn’t believe in their own power. That is the abundant gift you can give another”. Next articleBreaking throughHow do you rate your health?